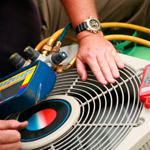 Alpha Air Conditioning can advise on and install any type of equipment speedily and with the minimum of fuss. 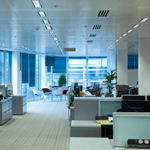 We have considerable experience in dealing with specific customer design requirements from individual room units, through to sizeable multi zone schemes, which can be undertaken in a variety of ways. Most important of all, we can provide you with a friendly approach to all your air conditioning requirements. Having found the most cost effective solution we continue to look after the equipment. Planned Maintenance designed to meet the individual need of each clients installation. We provide annual service contracts with 24hr, 365 days a year cover and a 6 hour call-out facility for clients under contract. 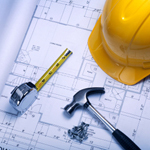 We offer a free survey on site followed with a free quotation for any projects or services required. Our engineers are fully experienced in equipment produced by all leading manufacturers. Inspect and check all installed equipment. Establish current efficiency levels against installed loads. Evaluate accurately future enhancement needs. Carry out complete environments audits. Alpha Air Conditioning are now DAIKIN ALTHERMA accredited installers. We can provide you with Consultation, Design, Installation and Maintenance for your Altherma Air Source Heat Pump.